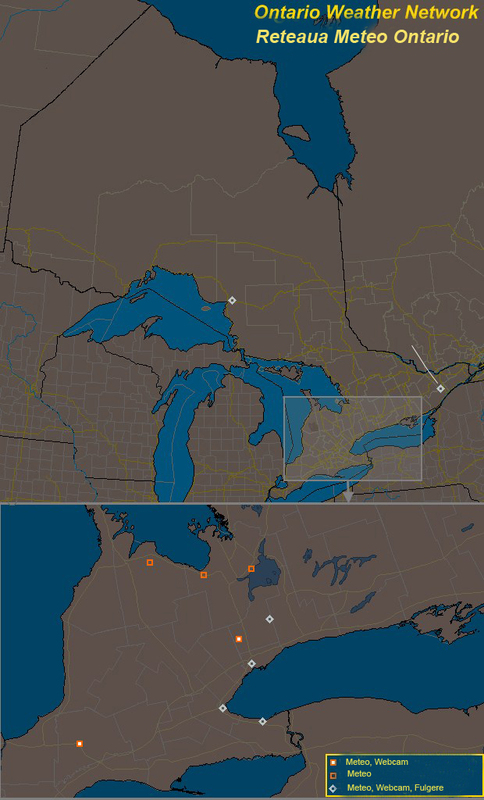 The Ontario Weather Network is an affiliation of personal weather Websites located in Ontario. Toronto is proud to be a member of the COWN network. A mixture of liquid and frozen precipitation. Hailstones are composed of layers of ice and can become quite large when strong gusts of upward-moving air keep them inside the cloud. As they move around inside the cloud they collide with raindrops, adding layers and growing before they fall to earth.